If there are links that you think should be listed please let us know. CTC offer the “FillthatHole” service that works out the appropriate local authority and sends the report on. This service is also available as an app for your phone to allow instant reporting of problems whilst you are out and about on your bike. Within Derby City boundaries all highway maintenance issues as they may affect cyclists (eg potholes, inadequate/failed lighting, hedge cutting) are handled by StreetPride. Fill in the details on the form here. For a general reporting system see FixMyStreet which collects the reported information and then routes it to the appropriate council. Cycling UK (was CTC) National organisation campaigning and providing various local organised rides. For matters concerning Derbyshire (as opposed to Derby City) or Staffordshire, contact the CTC’s Right to Ride representatives. Bike-IT is operating with schools in Derby. 20’s Plenty For Us was formed in order to campaign for the implementation of 20 mph as the default speed limit on residential roads in the UK. The Campaign for Better Transport is an independent charity, who work by providing well-researched, practical solutions to transport problems, pressuring national and local government to adopt them, and empowering ordinary people up and down the country. See Me Save Me campaign is dedicated to reducing lorry danger and saving lives. The site includes an interesting map of pedestrian and cyclist casualties highlighting those which involved an HGV. Derby CTC The Derby Section of the national Cycling UK. Regular rides and socials throughout the year. Cycling UK’s countrywide (and by county) list of published cycle routes together with links to download (where possible). 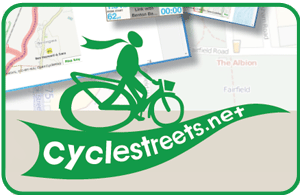 Two Wheels and a Camera produces slide shows of local Derby cycle routes. Pedal’s list of links is an excellent collection of links for both Nottingham and the wider area. Park That Bike allows people to comment on bike parking in their area and report problems. everybody’s Talking has been developed for the Nottinghamshire and Derbyshire Local Authorities Energy Partnership (LAEP) to raise awareness about climate change and encourage individuals to take positive steps towards a low carbon lifestyle. ibikelondon is a blog with a lot of useful general cycling information. Cyclist’s Defence Fund works to raise awareness of the law relating to cyclists. Charlotte’s Tandems offers loans of tandems to people in need. Transport Paradise is a site offering various advice on how to get better cycling facilities based on experience in Oxford. Tools of Change is a Canadian based set of research relating to various areas but with a big focus on cycling. A possible useful source of evidence for the success of differing behaviour modification studies. There are tax exemptions available to employers operating a Cycle to Work Scheme involving the loan of cycles to employees. If the employee prefers to use their own cycle a tax-free mileage allowance can be paid for business travel. In most cases this allows someone to buy a cycle (from most cycle shops) and save tax on the VAT and on the income tax on the monthly payments made to pay off the cost of the bike (and associated accessories such as locks and clothing). Some people have had problems with the final payment necessary to leave the scheme and keep the bike (sometimes much higher than expected) so check the details carefully with your employer before signing up. Cyclescheme has pages about the scheme. Halfords have their own information site about the scheme. The Bike List is a mixture of useful links and commercial information. electric Bikes is a commercial site with lots of information on electric bikes. The Bike Shop – Derby based store offering “possibly Derby’s largest selection of bikes”. Offer discount to DCG members. Brilliant Bikes – online parts, particularly for Bromptons – excellent service, reasonable prices. Hawk Cycles – discount chain which includes an outlet in Derby. Mercian Cycles – long time Derby high end supplier specialising in custom frames. Bike Back – Derby is a recycling scheme where you can donate unwanted bikes and buy refurbished bikes. Decathlon is an international chain with a store in Giltbrook by IKEA. Cycle Touring Supplies is a Derby based organisation offering an eclectic mix of cycling equipment and services. Cycle Republic, chain store (owned by Halfords) with shop in Derby centre. Sonder Bikes – mail order business with factory shop in Eastwood. DD Cycles – shop specialising on second hand on Harvey Road in Derby. London Road Cycles (previously Bargain Bikes). Derby outpost of Birmingham shop specialising in second hand bikes. Also see the list of local cycling clubs (above) who organise rides alongside their other activities. Derby CTC The Derby and Burton Section of the national Cycling UK (was CTC). Regular rides and socials throughout the year. Free rides for all organised by Erewash Borough Council. Wednesday mornings 10am from West Park, Long Eaton. More information here. Livewell hold weekly sessions open to all (not just Livewell clients). Bike & Go provides rental at various stations (mainly in East Anglia and Merseyside but expanding to closer to Derby) for £3.80 per day. Maximum rental of 3 days. Brompton Dock offer hire of Bromptons from various stations. Some of the locations are a bit obscure but include Manchester, Bristol and Exeter. Different tariffs but £5 per day or less. London Santander (Boris) bikes for easy cycling within central London (£2 per day if you follow the rules carefully). Nottingham CityCard cycle hire scheme. For use within Nottingham city centre. Pricing seems complicated so read through the options on the website. Peak District cycle hire – various centres on the off road ex railway paths. Fairly expensive (in my view!) but popular with tourists. Checkthatbike is an excellent facility to check frame numbers before buying a bike. The site owner is also campaigning to get the police to use his database of stolen bike frame numbers. The Crime Prevention Website is concerned with all aspects of reducing crime including that of cycles.